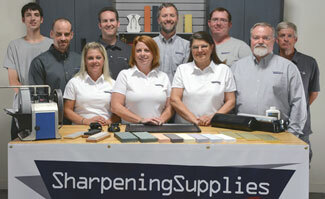 Home / Sharpening Articles / Sharpening FAQs / Are electric sharpeners safe for my knives? Is the Chef’s Choice Electric Sharpener safe for my knives? Yes, we have used the Chef's Choice 120, 130 and 320 with great success on many knives (including high end brands such and Wusthof and Henckels). You may have heard that electric sharpeners can be bad for knives. It is true that SOME are bad, we've tried some electric sharpeners which we don't care for, and therefore refuse to stock. We like the Chef's Choice 120, 130 and 320 because we feel they offer a good edge for many different types of knives. If you still prefer the more traditional methods or have specialty knives such as single bevel Japanese knives, sharpening stones can be used to provide an edge that can be customized to the knife.